Rick is one of the founding partners of Psychological Consultation and Assessment. He obtained his Master of Arts Degree in Clinical Psychology from Marshall University in 1976 and opened his small private practice in 1979. 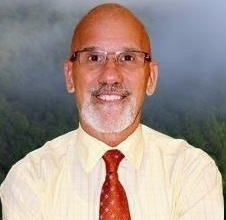 He has worked as a school psychologist and has been involved in contract work with the West Virginia Bureau for Medical Services (BMS) since the early 1980’s. He participates in the oversight of thousands of eligibility determinations annually made through PC&A and represents BMS in fair hearings as well as providing consultation statewide. He is also well-known for training events regarding eligibility criteria for an ICF/IID level of care, PASRR requirements, and in the appropriate use and understanding of the ICAP. His vision for PC&A, Inc. has been described by his staff as invigorating and motivating. He is the father of three, has enthusiasm for life, and has greatly enjoyed his many years of marriage and professional life. Rick is widely known for his interest in ultra-trail running and he has qualified for and completed the Boston Marathon twice. Growing up in West Virginia and being a United States Army veteran, he learned and embraces discipline and responsibility. He dedicates himself to setting and achieving goals that result in positive, healthy outcomes.